Fruits have been associated with slot machines and casino's since they first began. Remember when we all used to play ‘Fruit Machines'? Or maybe when the symbols and icons were cherries? Of course now slot machines are far more sophisticated. However, the idea of theming a casino after one of its most famous symbols is genius. 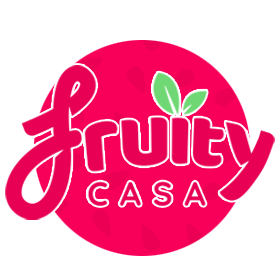 And so we have Fruity Casa! This is the house of all things fruity. Colourful and entertaining, this is a site dedicated to each and every one of their loyal players. Packed with the hottest slots, jackpots, live casino, and the fruitiest promotions, Fruity Casa is a terrific site to play on. While the site is very clever about adapting and naming promotions after various fruity delights, the game range isn't limited to fit the theme. With hundreds of online slots at your fingers tips, expect to see all of the latest and best games the industry has to offer. If you're unsure, they have even provided handy sections for you to choose from. Fancy movie and tv based slots – they have a section for that! How about animals? Or fruits and food? Or Music? And that's only the start! Check out their ‘Jackpot' selection of games where the big prizes are on offer. You can play this slot machine game and 100s more like it at Fruity Casa. Joining is easy and only takes two minutes. Deposit today and get Welcome Bonus. Claim a fantastic welcome bonus when you join Fruity Casa. Whether you like to play on desktop PC, Tablet or Mobile you can get the most from Fruity Casa as all devices are supported. Hundreds of slot games to choose from including unique titles along with the most popular slots available. If huge jackpots are your aim then Fruity Casa delivers as there are some cracking progressive jackpot slots available. Fruity Casa offer a host of great deals every week so if its the latest promo you're after this is the right choice. Fruity Casa is a really fun, bright and colourful site to play on. It is incredibly easy to navigate around and isn't so overwhelming that it becomes confusing for players. They have an excellent loyalty programme for customers. The more you play the more your tree blossoms. Once fully grown, you can pick the fruit off it by redeeming your Loyalty Points for bonus cash. And then sit back and enjoy the fruits of your labour. With every £10 wagered you can receive up to 2 Loyalty Points. Different games contribute a different number of points. So it doesn't matter if you prefer blackjack to slots, or poker to scratchcards, all will earn you points! There are also plenty of offers and promotions. They get updated all the time so keep an eye out for free spin deals, or cash matches on your deposits. It will add to the enjoyment and keep your money going for longer.